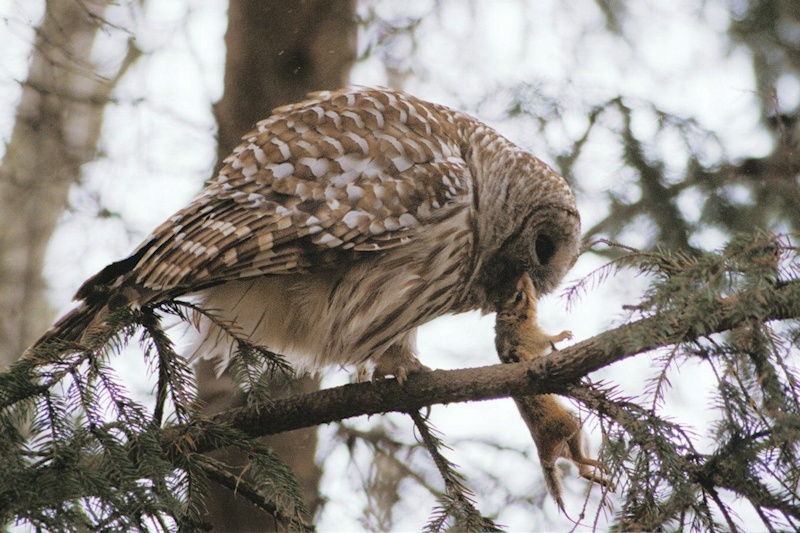 A Barred Owl with Eastern Chipmunk prey. Once caught, an owl will dispatch its prey quickly with a snap of its beak. Image © Collin Tanner.